Welcome to The Quantum Lifeline. Win a FREE Dell Laptop New Frequencies Anyone? Wow what a busy couple of months. Guess you have been wondering where our February Quantum Lifeline has been? Well so have we! These last couple of months have kept us on our toes! Not only did we have the busiest month ever but we have also solidified our training policies and introduced our Official Regional Manager Program (mm yes we got some sleep every now and then as well). Then there was the great achievement of obtaining a Class 2A Medical Device Listing in Europe for The LIFE System. Yes we have just completed 18 months of double blind trials and complying with the German (like the USA FDA) and are now pleased to announce that The LIFE System is now officially recognized in Europe as a Class 2A Medical Device. Although this does not have much relevance in the USA, to obtain a Class 2A Medical Listing in Europe is quite remarkable. This now opens the door for official sales in places like Africa and Australia. Watch out world here we come! There have been some great developments recently here at Quantum Life which we are pleased to share with you. By now you should have heard all the buzz regarding our new Hardware Upgrade. We are getting calls every day for new orders as well as upgrades. A Flyer was sent out via snail mail listing the specifics. 1. Dell Notebook computer @ Special Price of $599.00 (Extra cost item offered @ only $599.00). 2. Complete LIFE System 2nd Generation hardware and software. 4. FREE Web Listing in our Practitioner Directory earning extra referrals. 7. FREE One Day Basic Training. People always ask us about new frequencies and when will The LIFE System be updated? One of the great things with The LIFE System is that you can update your own frequencies anytime under the Timed Specific Panel. With this in mind we have discovered some very powerful frequencies thanks to a fellow practitioner. What Are The Ancient Solfeggio Frequencies? These original sound frequencies were apparently used in Ancient Gregorian Chants, such as the great hymn to St. John the Baptist, along with others that church authorities say were lost centuries ago. The chants and their special tones were believed to impart tremendous spiritual blessings when sung in harmony during religious masses. These powerful frequencies were rediscovered by Dr. Joseph Puleo as described in the book Healing Codes for the Biological Apocalypse by Dr. Leonard Horowitz. I give honor to both of these gentleman for the part they’ve played in helping return these lost frequencies back to humanity. Step 1: Click on Timed Therapies from the Program Index. For example, the third note, frequency 528, relates to the note MI on the scale and derives from the phrase "MI-ra gestorum" in Latin meaning "miracle." Stunningly, this is the exact frequency used by genetic biochemists to repair broken DNA – the genetic blueprint upon which life is based! Yes we are again pleased to be leaders of the pack so to speak! Our LIFE System is now fully Vista Compatible which is quite handy as within 2 months Microsoft Corp. will stop distributing the older Windows XP software. In answer to many questions regarding the ability to get the system to comply with Windows Vista I would like to expand on that and offer an explanation. There are new security features which need to be turned off via the User Control account from your Control Panel. Vista seems to use a lot more resources so it would be good to disable extra programs running in the background via your System Configuration. Don’t worry if the above sounds Greek to you then call Quantum Life toll free and let us guide you through the installation process. Quantum Life has always been looking for better ways to serve our LIFE System Practitioners and with this in mind we are pleased to announce our CBT and CBS Certification Program. Also worth noting, our Regional Managers are also beginning to offer both Intermediate and Advanced Localized Training. CIHS have recently introduced their Level 2 and Level 3 Advanced LIFE System Training. Listen to the audio recordings titled Professional Ethics for the Biofeedback Practitioner. Become extremely familiar with Professional Ethics for Biofeedback Practitioners. Complete a practice test as per www.ntcb.org requirements regarding the Professional Code of Ethics. Completed the above requirements for the CBT. Agree to an internship program through Quantum Life. (You are required to be able to turn to an advanced trainer and or instructor should you have any questions relating to The LIFE System). A minimum of 500 hours working directly on the LIFE System is required. This criteria begins at the time you first used your LIFE System. Please document your times. Attended a certified advanced LIFE System training event endorsed by Quantum Life. These could also be in the form of Webinars. As one of our first L.I.F.E. System Practitioners April has built a very successful practice in Cardiff California. She also provides support to our practitioner base and is well versed in the field of Quantum Mechanics. A great believer of LIFE technology, she is here to assist you in all aspects of your New LIFE business. Michael, together with April, like to challenge each other with their understanding of Quantum Theory. Michael is also developing the worlds first online Enlightenment Network showcasing cutting edge holistic treatments. He is a fond researcher of Long Distance healing otherwise known as Metaspace or subspace. Gayla Erickson, based in Washington has been with Quantum Life for almost five years. Over the years we have witnessed Gayla’s ability to transform her life and those around her. As a practicing biofeedback therapist for the last five years, I have been trained, offer therapies, sell, and train others on the medical and naturopathic devices. I have had the privilege of experiencing training from around the world. On some devices, I train up-and-coming trainers. Currently, I also serve as a Regional Trainer for the Northwest States,mainly Washington, Montana, Oregan, and Idaho. Upon request, I am willing to fly to your state, given the number of people you are able to schedule warrants the expenses incurred. I schedule my office hours around the need of the client. My clinic has a pleasing appearance with Pergot flooring to lessen allergens and bookshelves that are well-stocked with medical and naturopathic books for both your and my benefit. As my client, you may choose between having your therapy in an easy chair or on a massage table equipped with extra cushioning. During your relaxing session, delight in viewing a flowering dogwood and well-manicured landscape in a pleasant neighborhood. Charlotte Campbell started her practice in January of 2005 as a practitioner of the L.I.F.E. System biofeedback device. Having had 14 years experience as a Medical Laboratory Technician, Charlotte is well-versed in the causes of disease. She worked very closely with doctors in the diagnosing and follow up of treatment. She is dedicated to alternative/complimentary therapy and enjoys working with medical doctors in her area. Charlotte has since gone on to get her certification as a Certified Biofeedback Technician and most recently her Certified Biofeedback Specialist. She has an office in Sandpoint, Idaho where she sees clients by appointment. For those who can not come to the office because of medical reasons, she goes to their home for assessments and treatments. The name of her practice is Natural Solutions. Charlotte has lived in the Sandpoint area for 17 years and her husband Dan was born in Idaho. They live in a Solar Power home that they built themselves. (It was mostly Dan who built it, but I did manage to pound a few nails). They are both organic gardeners and enjoy the wonderful life the andpoint area has to offer. Quantum Biotics, Inc. is our practice in Lilburn Georgia (a suburb of Atlanta) and we just celebrated our first year anniversary in business. We started with The Quantum L.I.F.E. System so that we could use it on ourselves and our pets. Before we knew it friends, family and others wanted to get on our L.I.F.E. System as well. So in January 2006 we decided to open an office. By May 2006, Colleen was able to start working full time in our new business. We are excited to see what the future will bring for s.
I use herbs, nutrition and homeopathy in addition to the L.I.F.E. System. I also use NLP, hypnosis, IET and Reiki as additional modalities. After searching for natural methods to improve my health in 1995, I started my formal education in 2000. I was on 9 pharmaceutical drugs a day, and my health was rapidly deterioriating at age 35. I have been drug free for over 6 years and now have no current health issues. The purpose of The Living Center is to educate and assist others in finding natural methods to improve their own health. I believe the client should take an active role in their own healing. My technique is to focus on the top 4 to 6 priorities in restoring balance and health. These steps are prioritized and may include nutrition, herbs, homiopathy, affirmations, visualizations, or multiple other methods, depending on each individual. Brenda has earned her certification with the National Board for Certified Biofeedback Technicians and the College of International Holistic Studies. She also is certified in Stress Management from CHIS. Brenda has spent the last five years in the biofeedback field, working with local alternative, chiropractic and Chinese medicine doctors. Having spent many years working in the field of healing, Brenda understands the connection between the emotional and the physical. Releasing the body of traumas (emotional, physical and spiritual) allows the energy of healing to flow. Every cell of the body contains approximately 6 gigabytes of memory. This fact brings a powerful message, that everything we have experienced in this life, good and bad, is recorded in the cells and ultimately the organs of the body. Negative energies lead to sickness and disease. Brenda uses the L.I.F.E. System to bring about the release of negative energy patterns, through energy balancing. In safe and comfortable surroundings, clients achieve and maintain amazing results. Sharron has earned her certification with the National Board for Certified Biofeedback Technicians and the College of International Holistic Studies. She also is certified in Stress Management from CIHS. Sharron comes from an educational background having spent ten years in the classroom and three years as an Assistant Principal in a local elementary school. She has a Master of Education degree, specializing in curriculum development, and is a published author of children’s books and teacher training materials. Working with children is her specialty! I’m based in Naperville, IL and have been involved in the healthcare arena for 26 years. I’m a licensed Cosmetologist, Aesthetician and Massage Therapist with extensive experience in business consulting for holistic practitioners. I’ve assisted in the set-up and management of over 30 nationwide Wellness Clinics. Bio-feedback and cutting-edge technology is now my main focus. I’m very honored to be a part of the Quantum Life Family! Linda & Paul Henderson are owners/directors of the Federally registered school, The Centre of International Holistic Studies, located just outside Toronto Ontario, Canada. Both Linda & Paul are Doctors of Natural Medicine, Doctors of Acupuncture and Certified Biofeedback Technicians. Paul, with a background in Microbiology from the University of Guelph, is the school’s head registrar and teaches the Acupuncture program at the school. He also works in the clinic part time. Linda, with her background in teaching from Windsor Teachers College, runs the holistic clinic, where she sees patients Monday, Wednesday, Friday, teaches the spiritual disciplines, and Aromatherapy courses at the school. The school offers over 45 different courses with renowned faculty teachers from around the world. Courses are offered on site and by correspondence. Paul is also the sales director for Quantum LIFE-Canada division and invites you to call if you know of anyone interested in a L.I.F.E. System in Canada. They have a technician on staff that can answer the technical problems that may arise and Patti Aldrich, their pleasant Senior Administrator will always point you in the right direction. We would like to thank Priscilla Grant for the great training workshop she taught here in Atlanta Georgia. It was a wonderful 3 day meeting that combined Basic Training and Continued Practicum Training. Pricilla set the theme of “Community” for this workshop and her enthusiasm, kindness, and expertise combined to make this a truly unique event. We would like to thank Ryan Williams for taking the time to call in and personally answer questions the attendees had concerning the L.I.F.E. System and its use. We also had a special treat on Saturday in the form of an in person discussion on the benefits of certification by John Gilbert the President of NTCB. Thanks to our attendees Deborah Scherer, Malinda Taylor, Shirin Nathani, and Susan Nathanson for making this workshop such a success. I know that everyone there truly felt the community that Priscilla was tiring to achieve. We left with total confidence in our abilities and I’m sure we will all see a difference because of it. Dr Lamar is a fellow Life healer/practitioner and has a full range great products, some of which are the best on the health market! At very affordable prices! As fellow practitioners, Dr Lamar offers a 30% discount on the purchase of 1 – 11 products or 40% discount on the purchase of 12 or more products. Check out Dr Lamar’s product line below. Our favorite product is Dr Lamar’s Creation Vitality Boost, a completely organic combination of vitamins and minerals derived from a prehistoric inland seabed. This amazing supplement is chelated from ancient plant matter, rich in humic minerals/fulvic minerals, minerals and amino acids. Dr Lamar’s Angstrom minerals are in the purest form and are one hundred million times smaller than colloidal minerals, making them the most digestible source of minerals available today. Angstrom is a unit used in measuring the length of light waves. The average absorption rate for most of the minerals on the market (colloidal, ionic, etc.) in adults is approximately 10% and even less if digestive problems are present. All of the Angstrom minerals penetrate to the DNA which means they can cross the blood/brain barrier to supply energy directly to the brain. What’s unique about these minerals is the fact they are totally water soluble – which simply means what the body doesn’t need it will excrete! ForMor International is an innovative total life wellness company that is a worldwide leader in the development of breakthrough health and wellness products. We have recently become distributors for BioPro, the protective shield against cell phone frequencies and other harmful EMF’s. Tom Snyder sent us some information on this breakthrough technology to help us differentiate between BioPro and other cell phone protective shields on the market. We were astounded by the increased protection of BioPro. This is a glorious opportunity for us to save ourselves and each other, with the guidance of the light beings on the other side. They cannot do this alone, they need our help. Please enroll your family, friends and anyone you feel will truly honor this beautiful opportunity for Oneness and Unlimited Possibility of Transformation. Feel free to copy and past this email to send out to anyone you feel may be interested in assisting this process, thank you. Thank you for reading our first issue of Life Health Line. We look forward to sharing more health info with you as part of our monthly Life Line Newsletter. 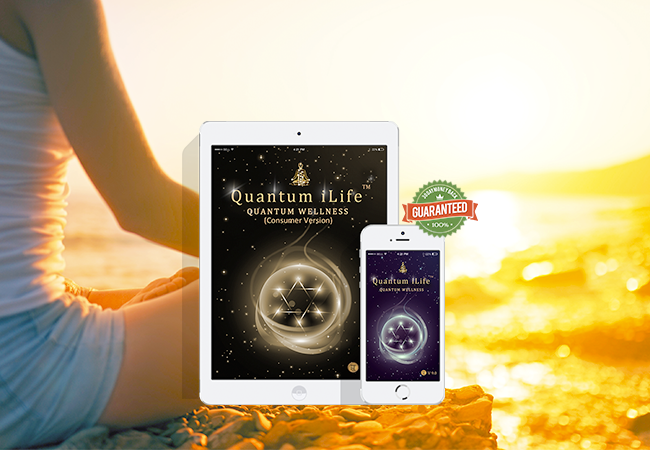 Remember to email any health tips you would like to share with the Quantum Life Community to: Karen@quantum-life.com, thank you.